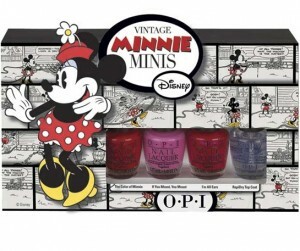 OPI: Marketing Missteps or Irreverent Branding? If you’ve ever been to a nail salon, you’re likely to recognize the eponymous O.P.I. line of nail polishes. Featuring theme-based wacky names like “Barre My Soul” (a ballet-themed color), “Super Bass Shatter” (a Nicki Minaj theme) or “Gouda Gouda Two Shoes” (a Holland-based theme), the company frequently looks to themes to influence their collections. The OPI line based on the Kardashians had rather unfortunate timing. So it wasn’t a big shock in itself when they unrolled their Kardashian Kolor campaign last fall. It was, though, unfortunate for the company that the unveiling of the collection and heavy promotional advertising occurred right at the time when miss Kim Kardashian made her unpopular decision to end her 72-day marriage, making all things Kardashian pretty unpopular for a chunk of time—a reminder that tying your brand to a celebrity can be potentially risky business. Apparently, however, O.P.I. and the Kardashian Kolor line (does no one else see the “K” alliteration as somewhat offensive, given American history??) did just fine. And now O.P.I. has unveiled a new line. Based on a cartoon mouse THAT ALWAYS WEARS GLOVES. that the Kardashians might wear the product they’re endorsing. Now, apparently, a cartoon mouse that never unveils her fingertips it the taste-maker of choice for women selecting polish. Hmm. . .
As I scratch my head with my own well-groomed nails, wondering how such strange marketing strategies can pay off for the polish brand, it occurs to me that I’m possibly over thinking the strategy. After all, they also have a new line of polishes based on Spider Man. Surely he doesn’t wear polish under that superhero unitard? A more likely explanation for the seemingly bizarro branding is that they position their brand as contemporary, irreverent and fun. It’s a little humor to feed a mini-vacation at the salon for overworked and underpampered women. This entry was posted on Tuesday, May 29th, 2012 at 8:50 am and is filed under Marketing to Women, Marketing your Business. You can follow any responses to this entry through the RSS 2.0 feed. You can leave a response, or trackback from your own site.